« Yeah, CrossFit is expensive. But the alternative should be unacceptable! Next Monday, September 6th, we will all celebrate Labor Day together at CrossFit Sioux Falls in traditional CrossFit style – with a workout! CFSF will have a holiday schedule for classes of 830a and 930a and it will be rockin with rip roaring energy of the Trevor Win'E. The Trevor Win'E is an annual workout where you and a team of 3 other participant accumulate 300 pull ups, 400 push ups, 500 sit ups, and 600 squats. You can create your own teams or show up the morning of and we will put you on a team – either way, make sure you sign up on our class schedule and fill in the sheet at the gym if you want your own team so we know you are coming. It's always a big event and a huge amount of fun. Get your bodyweight muscles ready! And costumes are not discouraged. 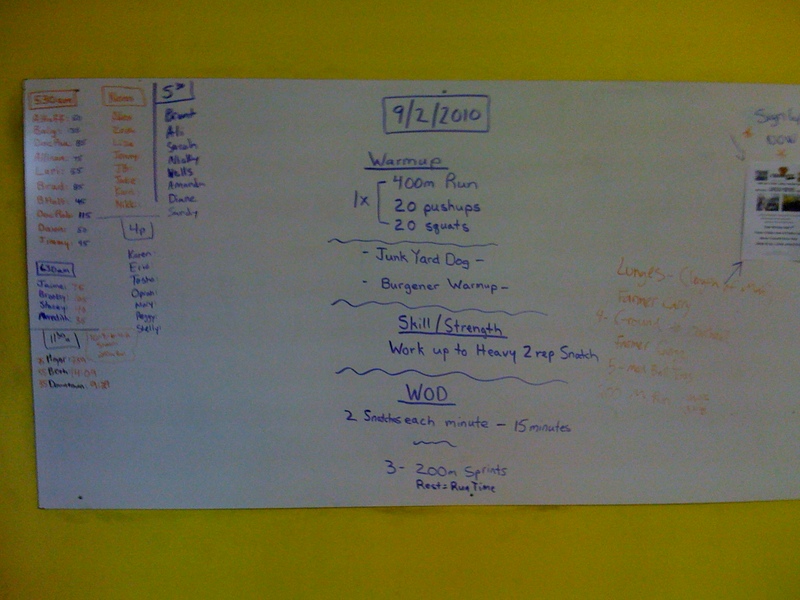 This entry was posted on September 2, 2010 at 7:57 pm and is filed under Crossfit Philosophy, CrossFit Workouts, Events. You can follow any responses to this entry through the RSS 2.0 feed. You can leave a response, or trackback from your own site.